There was an interesting article in the Harvard Business Review, Why People Quit Their Jobs, that provides great analysis on when your team members are most likely to leave. I have written repeatedly on the importance of recruiting a great team, and the logical next step of retaining the great people you have recruited, and one key to retention is understanding when your people are most likely to leave. Research cited in the article shows that there are certain events that trigger people to review their situation and thus exacerbates the above reasons people leave. The strongest of these events is work anniversaries, a natural time of reflection on whether joining the company turned out the way the person expected, when job-hunting activity increases 6-9 percent. These anniversaries are not only limited to joining the company but also starting a new role. Also, a formal review is likely to trigger a job search, especially if it does not include a promotion or clear promotion path. The research also showed there are triggers outside of the company that also prompt heightened job search. Birthdays, particularly milestone birthdays (30, 40, 50, etc.) prompts employees to reflect on their life situation and whether they should pursue a move. School anniversaries serve a similar purpose, as they prompt employees to compare themselves against their classmates. The research shows a 16 percent increase in job-hunting activity after reunions. The key is that events outside of the workplace have a strong impact on whether an employee will be looking for another position. In addition to the extrinsic and intrinsic factors that trigger job search, there are other ways to identify employees (or teams) more likely to leave. Computer monitoring can identify higher usage of LinkedIn or other job search websites. Tracking employee badges can detect those leaving the office frequently, presumably to interview or speak with recruiters. There are even technology firms that can predict likelihood to leave based on who people are connecting with on LinkedIn. As I wrote, you should always be recruiting your own team to minimize their chance of leaving. Realistically, not everyone has the time or resources to do this so at a minimum you can use the above triggers and hints to focus on those employees when they are most likely to leave. Ensure that you have clear conversations with them their career path in the company, and if they do not have one you should work to create one. Also, encourage your HR team to recruit internal candidates who are likely to be job-hunting for other positions at the company, so if they are going to move they still stay within in the company. Research shows that pre-emptive intervention is much more effective that waiting for someone to get an offer and then making a counter-offer, as 50 percent of those you retain by counter-offer will still leave within twelve months. They are most likely to start or increase their job search during work related events (work anniversary, position anniversary, performance review) or life events (major birthday, class reunion, etc.). 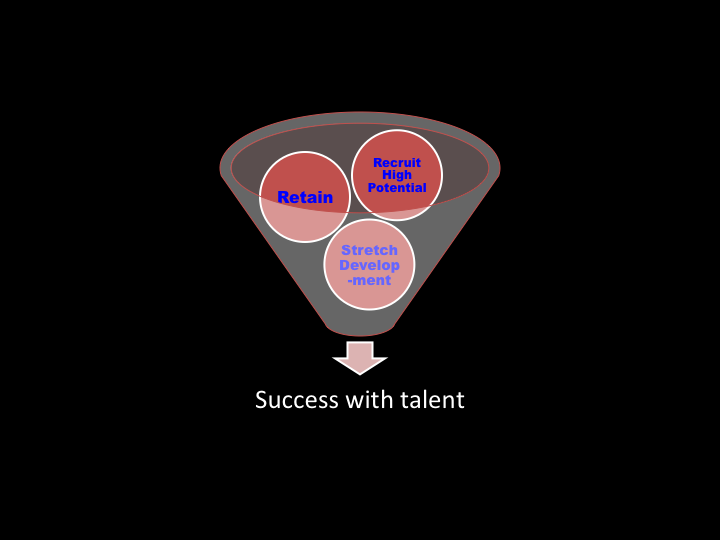 A critical key to success is attracting the right talent to your team. This provides a competitive advantage over other companies. The other key is proactively finding opportunities to raise your and your company’s profile to help your long-term recruiting capability, particularly speaking and writing openings. This past summer, Duke head basketball coach Mike Krzyzewski (Coach K) led Team USA to its third consecutive gold medal under his leadership. Coach K took over Team USA in 2005 and while his accomplishments for Team USA are impressive, it points to a bigger story about the value of recruiting. In that time, Coach K has won two National Championships at Duke and coaching Duke is his primary job. Many of his fellow coaches are upset that the high profile nature of coaching Team USA helps him recruit (and succeed at Duke). Regardless of whether it is fair, it shows a clear path to success. Having worked in both the US and Europe, one clear advantage I see from US companies is their focus on recruiting. In the US, recruiting is seen as a responsibility of all management, and the more senior you are the more you are expected to bring great people into your team or company. Many American leaders are judged by the team they put together. In Europe, although the company may actually have more employee-friendly policies, recruiting is left to the recruiting team or external placement firms, with it being a tertiary activity for leadership. While most leaders understand the value of hiring the best people, they do not see it as part of their job responsibilities. The sports ecosystem. 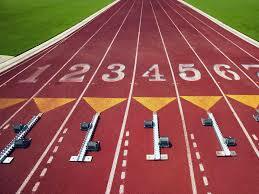 In the US, collegiate (university) sports are as important if not more than professional sports. While professional sports teams (both in the US and Europe) can secure talent by paying more, in collegiate sports payment is not allowed (I can write multiple posts about the reality of the situation but not important for this point). Thus, the successful teams are primarily the ones who can attract the best players. As LinkedIn Founder Reid Hoffman once wrote, the US is a free agent economy. Employees often look at their job as a short-term opportunity and move on to better new opportunities frequently. This liquidity means for companies to succeed they need a constant stream of good talent with the right skillset. As somebody who went to Duke and followed sports my whole life, the American philosophy on recruiting is embodied by Coach K. While you cannot have great results without being a capable floor coach, he has excelled by generating a steady and deep continuous flow of talented recruits. There are two lessons that I learned from Coach K that can help anyone, including European business leaders, recruit more effectively. First, recruiting must start at the top. While some university coaches rely on their assistants to attract talent, great coaches make recruiting their top priority. They show up for high school games, have dinner with recruits and their families and personally call and contact recruits. While their assistants do much of the work (breaking down film to prioritize candidates, coordinating schedules, answering questions),the great coaches take the lead in the process. In business, great leaders also do not rely on their HR team but work in concert with HR. They identify the talent, work with their coaches and players to build an environment attractive to the recruits and “close the sale,” they are not simply added to an interview list and done with it when they tell HR who they want to hire. The second element and one that prompted this post is they use all opportunities to improve your odds of recruiting the best talent. Coach K could have spent his summers at the beach but instead he coached Team USA. What this effort did was raise his profile and give him a great unique selling point when sitting with a potential Duke recruit: do they want to be coached by the same person who is coaching LeBron James, Kobe Bryant and Kevin Durant. Additionally, every time Team USA played on television (which is effectively everytime it played), it was a long commercial for Coach K.
While in business there is no direct equivalent of Team USA, there are many comparable opportunities. At the top of the spectrum are shows like The Apprentice or Shark Tank, this exposure greatly helps the underlying business’ ability to recruit. Even if you cannot get a slot on television, speaking at conference or writing articles for trade press (or even blogging) generate exposure and a unique selling point when recruiting. The critical thing is to seek out these opportunities as part of your overall strategy to use recruiting as a competitive advantage. The key is to use recruiting proactively, and put the necessary emphasis and focus on it, to gain a competitive advantage for your business. This effort requires that you lead the initiative, do not rely on others, and look at all opportunities as long-term ways to improve your recruiting effectiveness. The value of a good team cannot be overstated, it is more important than strategy, technology and even cash available. I have written before on some of the principals for recruiting a great team and how you should never stop recruiting. It is ironic how much effort companies put to recruiting the best but do not put the same effort into their existing team members until it is too late. The hard costs of recruiting a new employee. This can be payments to a recruiter, referral fees to employees, travel costs to attend recruiting, travel costs to bring candidates in for interviews, etc. The lost time spent evaluating candidates. The time you and your team spend reviewing resumes/CVs, interviewing candidates and discussing options. These days, almost all candidates go through multiple rounds of interviews before being offered a position. Each of those interviews takes 30 minutes or more of someone’s time, if you value that time based on the interviewer’s salary, you quickly get into the thousands of dollars (even more for a senior candidate who meets with leadership). Training costs. These are both direct and indirect. You may have to send the new employee to various external training courses to prepare him for the job. More likely you will need to spend you time or your colleagues will training the new person on how the company works, practical issues (i.e. where the bathroom is), systems, interactions with other teams and what they need to perform their tasks optimally. Again, there is a cost for every minute that you and colleagues spend getting a new hire up to speed. When you break out salaries by how much the person earns per hour, this training cost often runs into the thousands of dollars. The lost productivity in losing a high performer. You should never consider replacing an employee as an upgrade. If there are better people on the market, you need to recruit them proactively and replace weak team members. Assuming you adhere to this principle, if someone leaves voluntary, it means their replacement is not likely to be as good as the existing team member. 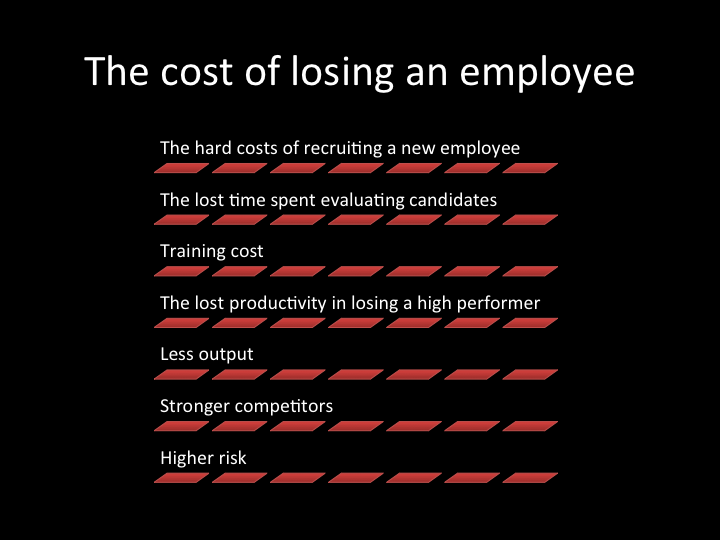 The cost can range from minimal to huge in having somebody not as good performing a role on your team. Less output. If you employ somebody, they should be providing a valuable service (or else you should proactively have eliminated the position). When you lose somebody, that task either does not get done until a replacement is in place or you must take other people off of their tasks (which again are worthwhile or you should not having them doing it). In either case, the overall output of your organization decreases. Stronger competitors. When a good employee leaves, by definition they go somewhere else. That somewhere else is often a competitor, so not only are you losing their services but a competitor is likely improving. If Messi were to leave Barcelona for Real Madrid, the loss to Barcelona would be magnified by the improvement of their arch competitor. Higher risk. Regardless of how rigorous your recruitment process, there is always risk that you make a bad hire. Many people interview above their actual competence, while others may just not be a good fit for your organization and processes. Thus, you have the risk that not only will the new hire be slightly weaker, they may prove incapable of doing the job and themselves have to be replaced. Then you have both an extended period of the job not getting done (or people being pulled off other tasks) and a repeat of the costs above. 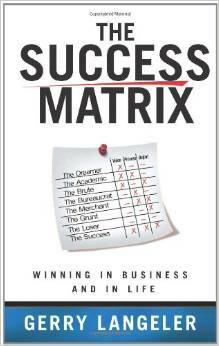 Possibly the best book I have read in the past year (not just in 2015) is The Success Matrix by Gerry Langeler . Langeler is a highly successful venture capitalist and entrepreneur who credits this concept to his success. The Success Matrix puts forth a very straightforward concept: Success needs a combination of vision, process and output. Langeler primarily uses this idea to suggest how to build and lead a successful team. Rather than trying to find people who excel at all three variables, since very few exist, great companies combine people so that the company can excel at all three elements. Vision. Vision represents a broadly understood sense of direction that encompasses competitive leadership in your industry over time. being produced with predictable regularity. Output. Langeler defines as output as profitable products and services are being produced with predictable regularity. “Profitable products and services” is the key driver for output. It identifies if costs are in line value is recognized in the marketplace. Any Output short of profitable is wasted effort. “Predictable” regularity speaks to whether the Output is both sustained and sustainable. Short bursts of excellence are not enough. 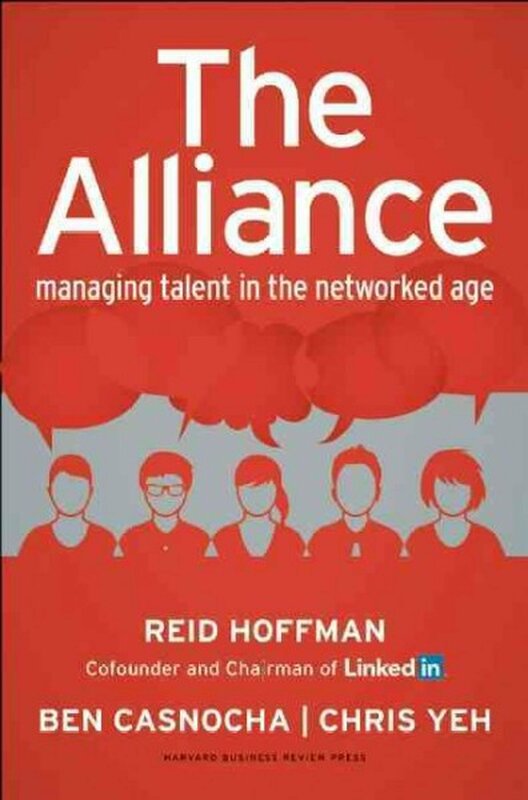 One of the best books I read this year is The Alliance: Managing Talent in the Networked Age by Reid Hoffman . The core concept in the book is that there is no longer employment for life but there is still a way to build a win-win relationship between employers and employees. Hoffman and his co-authors suggest a tour-of-duty type relationship, where employer and employee agree to a short or medium term engagement with a defined goal. Related to this point, employees’ trust of management is at an all-time low. One reason employees do not trust their employer is that the foundation of the relationship is built on dishonesty. When employees are courted, they are told about the fantastic long-term opportunities. When they answer interview question, they comment on how there goal is to spend their life contributing to the company. Both parties know this is nonsense but feel they must utter these phrases. It creates a relationship built on lies and a relationship without trust is a relationship without loyalty. A business without loyalty is a business without long-term thinking. A business without long-term thinking is a business that’s unable to invest in the future and thus one doomed to fail. You often hear how important it is to look at a person or company’s history before hiring, investing, etc., and although it is crucial, it is also crucial to do more than look superficially. Conversely, just looking superficially can cause significant damage and lead you into a bad decision. Probably the most important factor when considering a candidate is what they have previously done in their career. While a weak candidate can shine for a day of interviews and a great candidate may not be good in an interview environment, what a person has done previously in their career is a strong indicator of what they can do for you. The challenge is how to analyze a person’s track record. If you look on LinkedIn, 90 percent of people are all in the top 10 percent. In some cases (though I have found it rare among candidates for senior positions), people lie about their prior roles and achievements. This issue is easy to uncover; you just need to ensure you do your due diligence on background and reference checks. The one caveat is not to rely on the references that you are given, as almost anyone can find three or four people (often friends) that will say good things about them. You need to dig deeper, for key positions and achievements figure out who they reported to or worked with, then reach out directly to those people (I usually use LinkedIn) to get the real story. Finding strong members for your team is one of the most important skills needed to succeed and a recent Harvard Business Review article, “21st Century Talent Spotting” by Claudio Fernandez-Araoz, provides some strong insights on how to optimize your talent search. With skills and competencies now the key to finding employees, rather than past experience, you must become skilled at judging potential. This situation is exacerbated by the rapidly changing nature of the tech and game spaces, what worked yesterday are not necessarily the skills you need today. I have written several blog posts on how Bayes’ Rule can help you make better business decisions and application of this theorem. One of the areas where Bayes’ Rule is most often neglected is in hiring decisions. Often, rational and data driven individuals and organizations abandon the rules of optimal decision-making and rely on intuition. At its core, Bayes’ Rule shows how you can optimize the chance of a correct decision by looking at previous data points that encompass the decision you are trying to make. 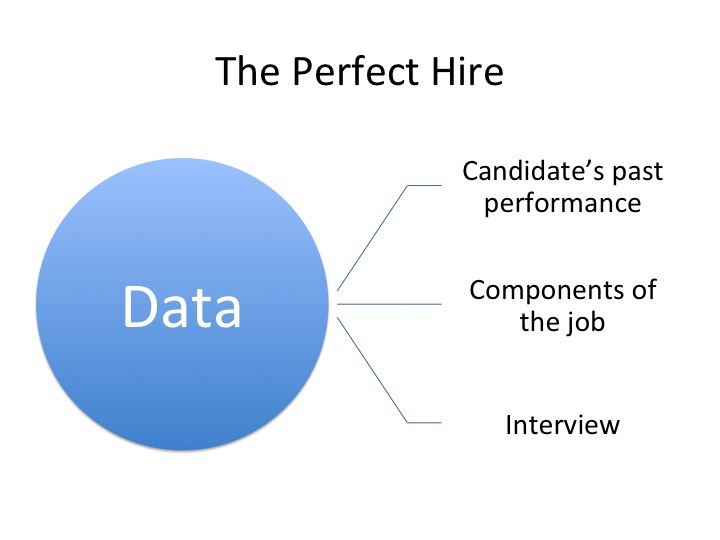 In the case of hiring, this analysis would be more effective by looking at the metrics and data that shows who succeeds, looking at what makes someone successful in the position you are hiring for and reducing the impact of data that does not lead to good hiring decisions. What most companies end up doing is using data as a filter but then hiring based on intuition. If you really want to make good decisions, you need to understand your intuition is only one (weak) data point and base the decision on Bayes’ Theorem, using past data to make the optimal decision. As important it is to recruit the best talent to your company, you also want to leverage that talent by having as strong an on-boarding process as your recruiting process. Last year, I wrote about how central good recruiting is to creating a successful game company. An article in the MIT Sloan Management Review, Reinventing Employee Onboarding, provides great advice on how to make your new hires more engaged, more connected with their colleagues and, most importantly, likely to stay. Although delegation is a crucial skill in a leader, one thing you should not delegate is developing and finding future leaders. A classic HBR article by Larry Bossidy, retired CEO of AlliedSignal (now Honeywell), recalled that the greatest challenge he faced in turning around AlliedSignal was building the management team so it was competitive. Bossidy wrote that despite the challenges he faced, he devoted 30–40 percent of his time to hiring and developing leaders. He concludes that AlliedSignal’s success was due in large part to the amount of time and emotional commitment he made to leadership development.